The foundations of all international journals under Pranav Publications are wholly based on originality and creativity that authors of all publications are required to maintain while writing their papers.Authors are invited to submit the papers for IJRRSET through E-Mail: jrrset@gmail.com. Submissions must be unique and should not have been published earlier or be under consideration for publication while being evaluated for this Journal. Authors shall adopt the template while preparing their papers. Papers submitted without adhering to the JRRSET template will be summarily rejected. The following word processor file formats will be accepted for the manuscript document for all the IRJGES Journals. The authors may please ensure that the length of their manuscript is between 5 and 10 pages. IRJGES will accept any manuscript which is either shorter or longer than the prescribed limit, if the content is of extraordinarily high value. The submitted research manuscripts are blind reviewed by a team of professors who are experts in the relevant fields. The decision of the reviewers is final. Arrangements will be made on specific request by the researchers for guidance to prepare the research manuscripts to acceptable standards and to guide the researchers to choose topics for P.hd work and for periodic progress. We at IJRRSET, desirous to select research paper, through topmost quality peer review. To achieve this, the entire peer review and publication process must be thorough, objective, and fair. Almost every aspect of this process involves indispensable ethical principles and decisions, which are explicitly stated and even less often shared with the readership. Journal's reputations depend on the trust of readers, authors, researchers, reviewers, editors, research subjects, funding agencies, and administrators of public health policy. This trust is enhanced by describing as explicitly as possible the journal's policies to ensure the ethical treatment of all participants in the publication process. We have following Publications Guidelines. 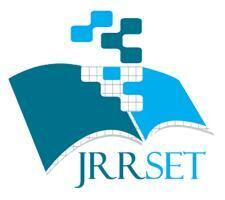 We at IJRRSET willing to select research paper through deepest quality peer review process. Publications should strictly demand original work that has not been previously published or presently not under review at another journal/conference. Good research should be well justified, well planned, and appropriately designed, so that it can properly address the research question. Paper should publish based on the copyright that constitutes authorship. All authors are responsible for the quality, accuracy, and ethics of the work. Re-publication of a paper in another language, or simultaneously in multiple journals with different audiences, may be acceptable, provided that there is full and prominent disclosure of its original source at the time of submission of the manuscript. Peer review is fundamental to the scientific publication process and the dissemination of knowledge and information. Peer reviewers should be experts in the specific topic addressed in the articles they review, and should be selected for their objectivity and scientific knowledge. All reviewers should be informed of the publication's expectations. Reviews will be expected to be professional, honest, courteous, prompt, and constructive. The editors may routinely assess all reviews for quality; they may also edit reviews before sending them to authors. The submitted manuscript is a privileged communication; reviewers must treat it as confidential. It should not be retained or copied. Also, reviewers must not share the manuscript with any colleagues without the explicit permission of the editor. Plagiarism is the use of other's published and unpublished ideas or words (or other intellectual property) without attribution or permission, and presenting them as new and original rather than derived from an existing source. At IJRRSET, we strongly discourage and against this ruthless act. If found guilty, to any extent, IJRRSET will fight for Plagiarism. Self-plagiarism refers to the practice of an author using portions of their previous writings on the same topic in another of their publications, without specifically citing it formally in quotes. Consulting with Pranav Publications legal counsel; and/or. Once the investigation has been completed, the Pranav Publications Board, based on a recommendation from the IJRRSET Director of Publications, will determine the penalties to be imposed depending on the type of plagiarism. The paper will be immediately removed upon recommendations and will be intimated to the person claiming plagiarism. IJRRSET has a clear policy on handling concerns or allegations about misconduct, which can arise regarding authors, reviewers, editors, and others.Publications do not have the resources or authority to conduct a formal judicial inquiry or arrive at a formal conclusion regarding misconduct. That process is the role of the individual's employer, university, granting agency, or regulatory body. However, journals/conference proceedings published/sponsored/organized by IJRRSET, do have a responsibility to help protect the integrity of the public scientific record by sharing reasonable concerns with authorities who can conduct such an investigation.